Fine jewelry is often our most prized possession, and with proper care and storage, it will last for generations. 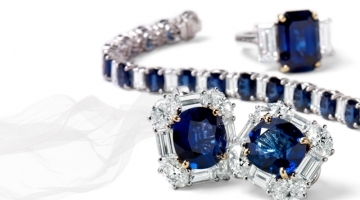 Unfortunately, many people are unsure how to take proper care of their fine jewelry. With a little precaution, you can protect your jewelry for decades. 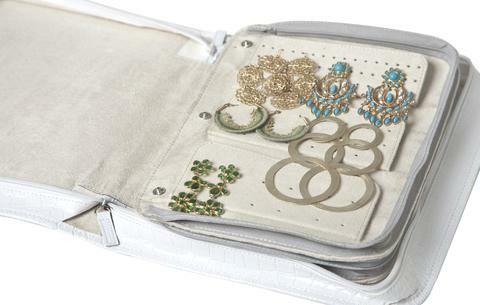 Here are a few tips on storing, wearing, and caring for your jewelry. 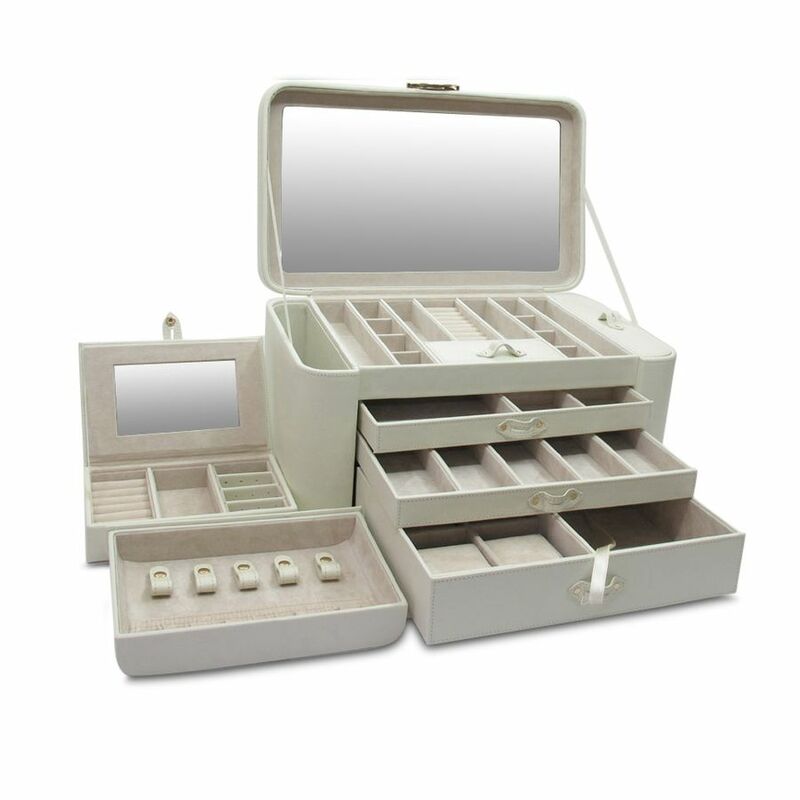 Select the type of jewelry box that provides the best protection for your jewelry. 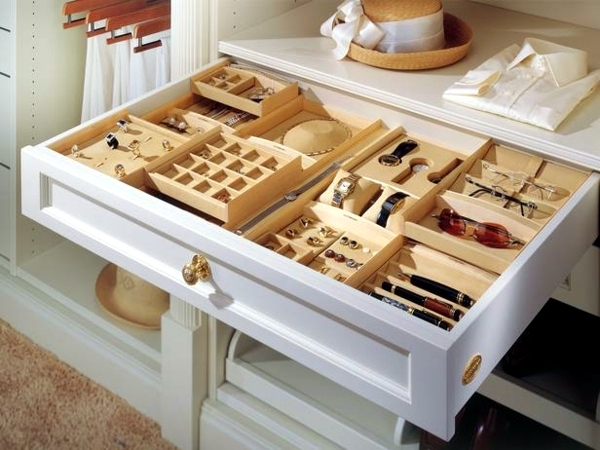 The compartments in a jewelry box are designed specifically for this purpose. The interior is soft and typically has a compartment for rings, necklaces, bracelets, and earrings. When storing fine jewelry, remember the main purpose is to prevent scratches on settings, kinks in chains, tarnishing of silver, and damaged gemstones. A jewelry box with a solid exterior will provide the best protection that your fine jewelry needs. A storage option that offers a place to hang necklaces is ideal. Precious metals are hard and enduring, but they can actually cause harm when they come in contact with each other. Luster can be lost, and chips and cracks can be created when pieces of fine jewelry are piled on top of each other, so look for a box that has enough compartments for each item, and when your jewelry starts touching each other, upgrade to a bigger box or a free-standing jewelry armoire. Every piece of fine jewelry is a unique, wearable work of art that deserves special attention, so be sure to store it according to its unique needs. Fine jewelry featuring diamonds, pearls, and colored gemstones each has its own storage specifications, as does gold, platinum, and sterling silver metals. Zip-lock bags are not only useful for storing food, but the bags are also useful for storing and preventing damage to your fine jewelry. Due to their durability, diamonds can be worn just about all the time, but they still require regular TLC. Diamonds should never come in contact with chlorine bleach or other household chemicals. They should also be shielded from lotions, powders, soaps, and sprays when possible, so it is best to add your diamond jewelry after applying makeup and hairspray. Furthermore, diamonds should not be worn when you are doing physical work such as exercising, gardening, swimming, and doing housework as they are still susceptible to chips from sharp, sudden blows. Diamonds rank 10 on the Mohs scale making it the hardest gemstone on the market, which means diamonds are capable of scratching any material that ranks lower on the Mohs scale. Make sure your diamonds aren’t rubbing up against any other jewelry. Pearls are fragile and soft. Nicks and scratches are common if the jewelry is not stored properly. The storage units must be extra soft on the interior to prevent damage to pearls. Always apply cosmetics, perfumes, and hair spray before putting on your pearl jewelry. Always wipe your pearls after removal in order to erase any traces of these substances. Body oil and sweat can not only affect the original sheen of your pearls, but also weaken and stretch the threads on which your pearls are strung, so it is important to have your jeweler restring your pearls every year or two. In general, gemstones should always be wiped with a clean, soft, slightly damp cloth before storing in order to ensure their cleanliness and shimmer. Gemstone pieces should not be exposed to salt water, chemicals, sprays, perfumes, or perspiration, and when stored, they should be concealed in soft pouches if possible. Simply put: your gemstone jewelry should not be stacked in big piles in a drawer, but rather neatly and securely placed in a tray or other separator like an individual zip lock bag. Gold is a relatively malleable metal and can be damaged by scratches from hard gemstones. No matter the karat of your gold, the standards of care are typically the same. To avoid scratches you should keep your gold pieces stored by themselves in soft cloth bags or the original box that you bought them in. Never wear your gold jewelry in a chlorine environment such as a pool or hot tub and avoid interaction with soap and cleaning products as well. A lesser-known fact is that salty air can be especially harmful to rose-gold jewelry because of the copper alloy in it, so leave these pieces at home when heading to the beach. Even though platinum is exceptionally strong, it can still be scratched, so store all of your platinum jewelry carefully in its own place and do not allow other pieces to touch it. Sterling silver has the tendency to oxidize over time. Therefore, sterling silver should not be exposed to air and light when stored. Sterling silver pieces should be loosely wrapped and stored individually in a fabric or plastic bag in a cool, dry place. Your fine jewelry is best stored in a cool, clean, dry place, and out of direct sunlight. Excessive heat and direct sunlight can cause damage over time, as some metals and gemstones can change color under extreme temperatures. Humidity can have adverse effects as well, as water can harm certain gemstones and cause clasp weakening. Different types of jewelry are more susceptible to damage from temperature and humidity than others. Opals and cameos require more moisture in the air to help prevent cracking and crazing. When traveling with your fine jewelry, apply these same gentle treatment methods to each item by keeping them in soft pouches or zip-lock bags. Zip lock bags fold easily and can be placed easily between clothing items to provide the softness necessary to keep necklaces from developing kinks and rings from being chipped. Check the condition of your fine jewelry regularly, and if you can hear or feel loose stones, bring the item into your local jeweler immediately. If you would like to have your jewelry professionally cleaned, bring it into J. Douglas Jewelers and we will have your jewelry looking shiny and new. 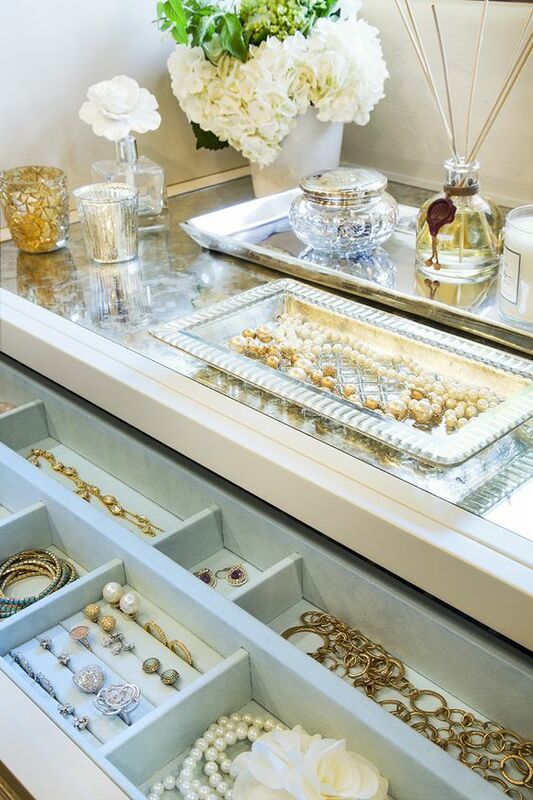 Fine jewelry storage is a necessity. Well-organized jewelry is less likely to be damaged. To keep jewelry in optimal condition, store your fine jewelry in jewelry boxes and soft pouches. By properly maintaining and storing your fine jewelry will extend the life of your jewelry over time.